Camelback headboard and footboard bed with nail head detail trim. 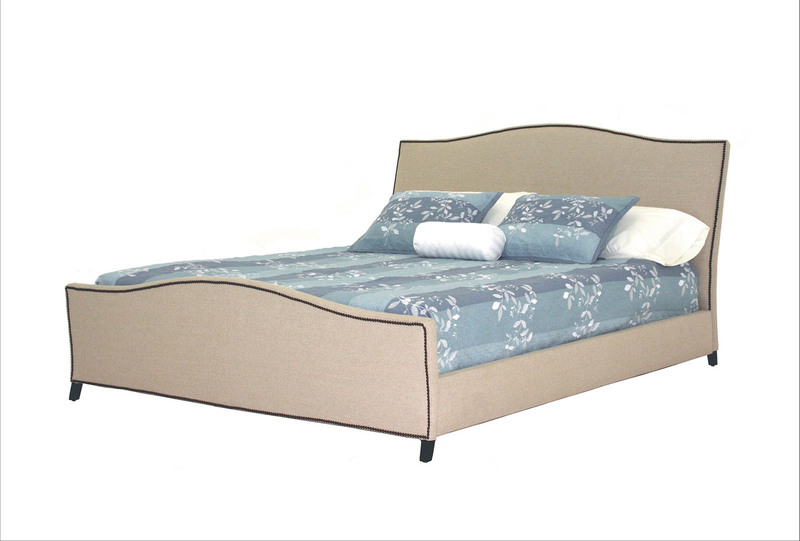 With our custom beds you can choose from a selection of nailheads and a variety of different fabrics. Nailhead detail trims on the edges of the headboard and footboard (okay to order without nailheads).